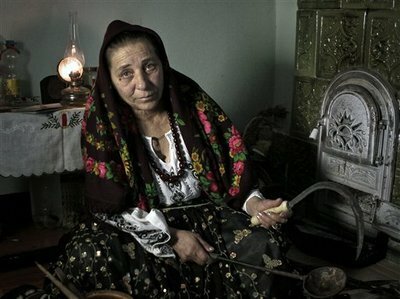 Hikers in this mystical, mountainous region – which includes the fabled Transylvania – can expect to encounter angry witches and fortune tellers who have recently had their profession taxed. So irate were they that they dumped poisonous mandrake into the Danube in an attempt to put a curse on the government. From the soaring peaks of Transylvania, to the rolling and bucolic landscapes of unspoiled Maramures, this epic journey encompasses the very best of Romania that it is possible to include within a two-week, walking adventure holiday. Way up high in the Bucegi Mountains on the summit of Omu, the panoramic views across the Carpathians to the plains 2000m below are breathtaking. The itinerary features the fairytale palace of Peles, the iconic castle at Bran (Castle Dracula), as well as the medieval heart of the delightful city of Brasov. Other highlights include a ride by horse and cart to a hill-side beneath the jagged peaks of Piatra Craiului to enjoy a Transylvanian BBQ amongst true scenic splendour, the UNESCO world heritage tiny Saxon village of Viscri, the citadel of Sighisoara (where the real Dracula was born) and the world famous Painted Monasteries of Bucovina. The final section of the trip is over a high mountain pass into the land aptly described as 'where Earth meets Heaven', the ancient lands of the Maramures, with its tiny villages set amongst a landscape of rolling hills and remote mountains, steeped in history and where local customs still hold strong. Walking is graded as moderate/demanding, walking 5-7 hours per day at altitudes of up to 2500m. The holiday costs from £1595 per person which includes ground transportation, 13 nights’ accommodation, most meals and a tour leader/guide. Flights bookable on request.